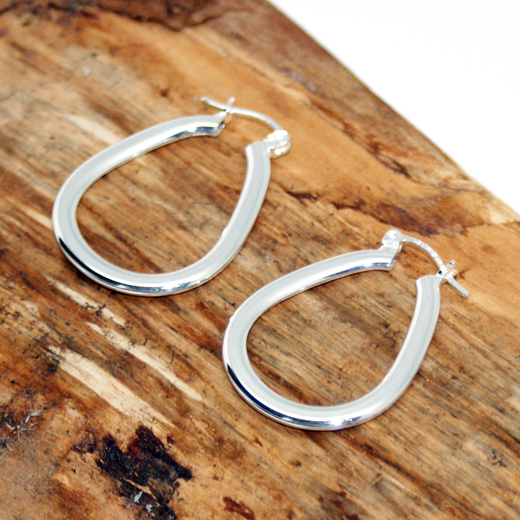 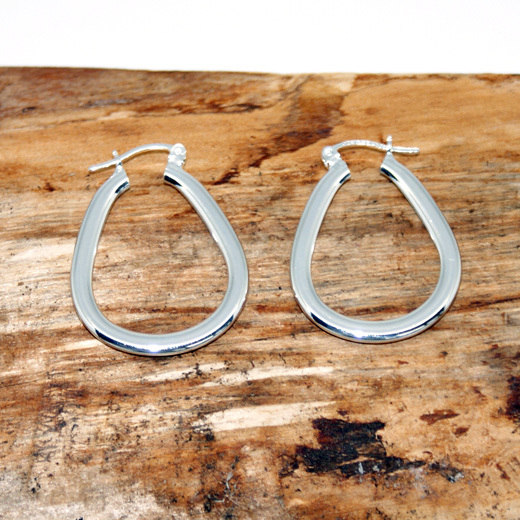 A pair of highly polished oval hoop earrings from Pura Mexico finished with hinged ear wire closures. 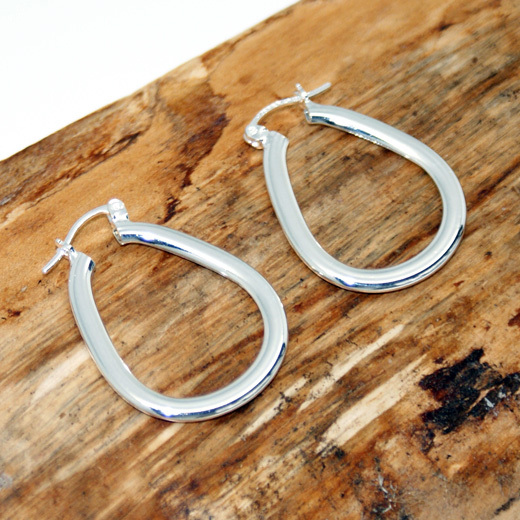 These modern earrings are suitable for both day and evening wear. 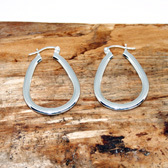 Not exactly what you are looking for? We have a wide range, see the womans silver earrings gallery for our other options.